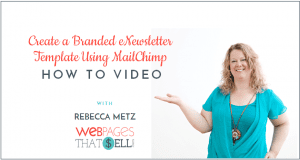 Would you like to create a branded eNewsletter Template with MailChimp? My long time client and friend Connie Hertz of www.conniehertz.com asked me that very question in an email to me this morning. So I decided to answer it for her and you (if you also had that same question) by making a video of the process. Connie wrote me and showed me this beautiful eNewsletter from cool biz magazine The Upside asking how she did this and asking me to help her give her eNewsletter a face lift. After looking at what she wanted I thought, MY eNewsletter needs a face lift TOO! I figured that some of you might like to know how to create some of these effects – or at least learn more about how to make updates to your own MailChimp eNewsletter. It is kind of fun too! (I know I don’t get out very often). You can easily make design updates to your MailChimp eNewsletter template! Click here to see! Before we dive in, you will want to have the following on hand. You can also have your graphic artist create a nice banner for you (the best dimensions for a MailChimp eNewsletter banner are 600 x 200). To begin we will log in to our MailChimp account and start with templates. This will give a couple of options and for this example we will use the 1 column banded option. Click in the banner area to add image. Click browse and upload banner. On the right click on the design tab. 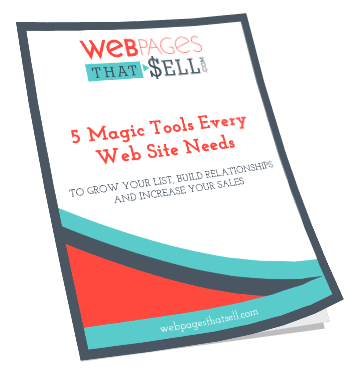 Start with page section and work your way down through each of these sections. In this example I’m going to start with the background. Using your color picker, use the eyedropper to get the number of the color you want to use. Your graphic designer might have also already given you your hexadecimal numbers. Using your color picker is a quick and easy way to grab it then paste. Move onto additional sections and do the same. When you have the look you want, click on the Save button and then Exit. Be sure to name your template and it will be available for you to use at anytime. When you are ready to create a new eNewsletter, go to Create campaign and select your new template.